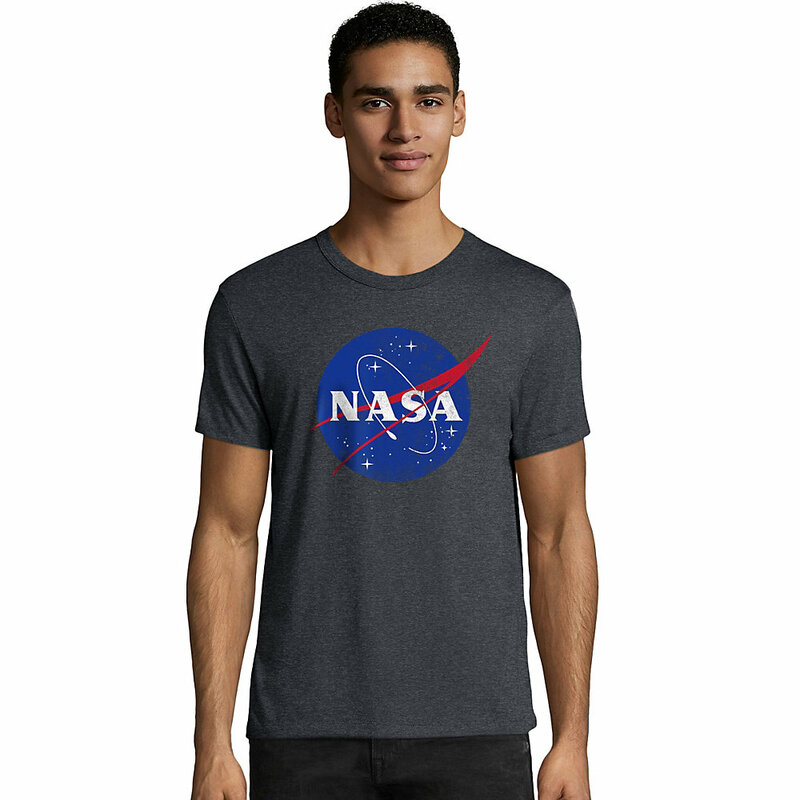 Size: 2XL, Color: NASA Meatball/Slate Heather (-) is currently out of stock! Size: L, Color: NASA Meatball/Slate Heather (-) is currently out of stock! Size: M, Color: NASA Meatball/Slate Heather (-) is currently out of stock! 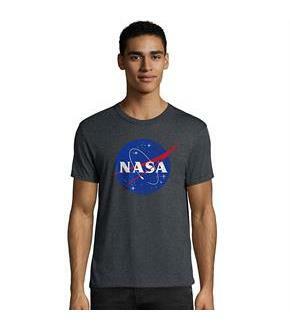 Size: S, Color: NASA Meatball/Slate Heather (-) is currently out of stock! Size: XL, Color: NASA Meatball/Slate Heather (-) is currently out of stock! This fun graphic tee is truly out of this world.Made with premium ring-spun cotton for exceptional softness.Contemporary styling with slimmer fit.Hemmed sleeves and bottom.Shoulder-to-shoulder tape for durability.